Arctium lappa, or burdock, is a biennial plant in the Asteraceae family. Burdock is rather tall, reaching as much as 9 feet (2.7 m). It has large, alternating, cordiform leaves that have a long petiole and are pubescent on the underside. The flowers are purple and grouped in globular capitula, united in clusters. They appear in mid-summer, from July to September. The capitula are surrounded by aninvolucre made out of many bracts, each curving to form a hook, allowing them to be carried long distances on the fur of animals. The fruits are achenes; they are long, compressed, with short pappuses. The fleshy tap-root can grow up to 3 feet (0.91 m) deep. Burdock comes from the Middle English burre from Scandinavian; akin to Danish burre, Swedish borre – referencing the burr that can stick to animal fur to be carried long distances. Burdock is native to the temperate regions of the old world, from Scandinavia to the Mediterranean, and from the British Isles through Russia, and the Middle East to China and Japan, including India. Burdock prefers locations with full sun, usually found in disturbed areas. Prefers nitrogen-rich soil that is rich in humus and organic matter. Sow Burdock seeds in your garden as early as the ground can be worked. Cover seeds with 1/2" to 3/4" of fine garden or seed starting soil. Tamp soil. Water lightly if the soil is dry. Seedlings germinate quickly, in about 4-7 days. Pick leaves and tender young stems for eating fresh. Harvest three to four months after the seeding until late autumn, when the roots become too fibrous. Dry the leaves and cut into smaller pieces for storage. Root can be dried, then cut into pieces or powdered. Store in an airtight container in a cool, dry place. Burdock leaf is one of the best all around treatments for problems with bacterial or fungal infections. It's found in Europe and Asia and has been used by the Chinese and Japanese for many years to treat all kinds of problems such as colds and flu. It has also been used to treat problems with the kidneys. Burdock leaf actually has three major benefits: it's an antibacterial agent, an antifungal agent, and it works as a diuretic. These three functions come together to provide you with the power you need to fight disease. As an antibacterial agent, burdock leaf can do many things. First, you can use it topically to treat minor skin problems such as bruises and scrapes. It can also help to speed the healing of burns and protect you from infection. When skin is burned, it leaves you much more vulnerable to bacterial invasion. Burdock can also be used topically on the skin to help treat acne. Acne is actually a tiny bacterial infection under the skin. When you use burdock, you help to kill off the bacteria and give your skin a chance to heal. 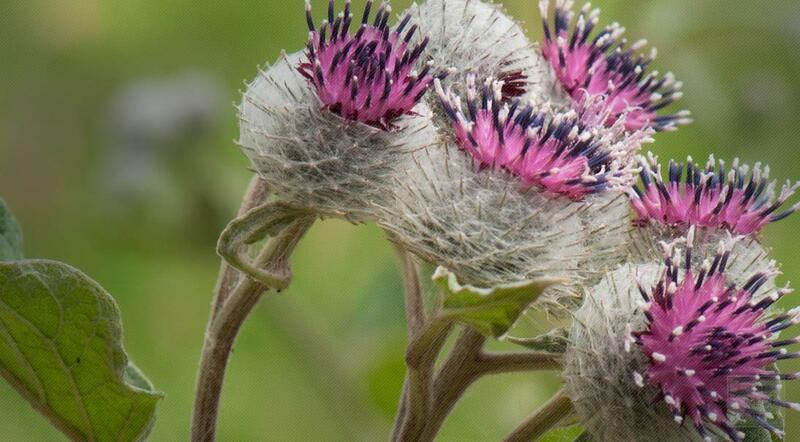 As an antifungal, burdock is helpful in relieving conditions such as athlete's foot. It can also treat skin irritations like eczema and psoriasis. 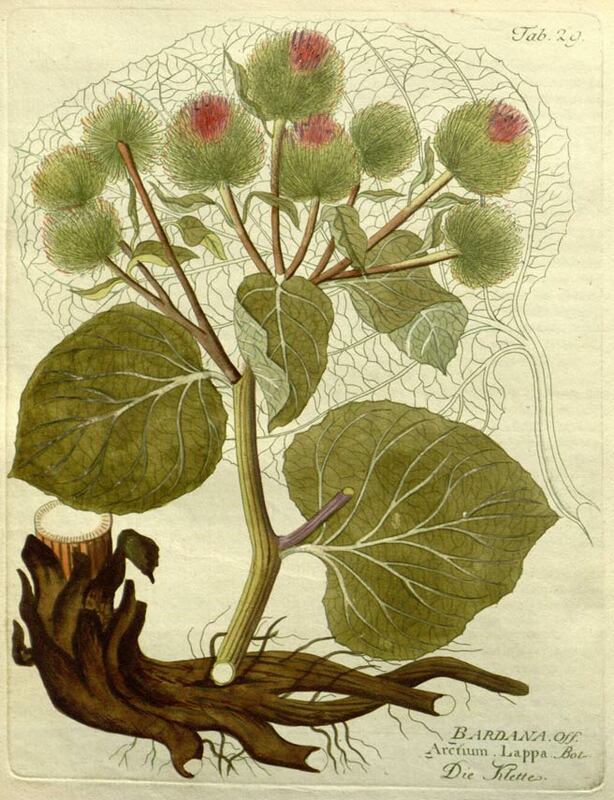 Some people even use burdock to treat tumors on the skin. It does seem to help treat those tumors and give you long term relief. If you have problems with diarrhea, you'll want to avoid burdock until everything returns to normal. That's because it works as a diuretic and combined with diarrhea could cause you to be dehydrated. You can take burdock leaf in the form of a tea, powder, capsule, or tincture. You can also find burdock in lotions and creams that are used for the skin. You may have never used burdock leaf, but it's a good broad-spectrum herb to keep in supply. You'll find many uses for it and you'll be astounded by its success.